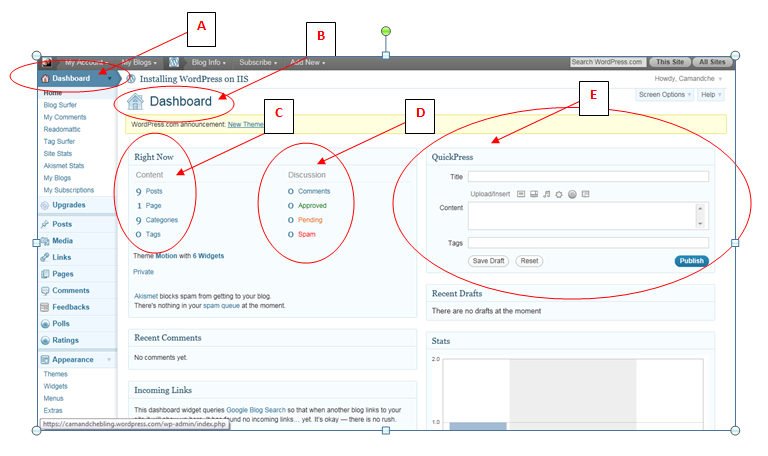 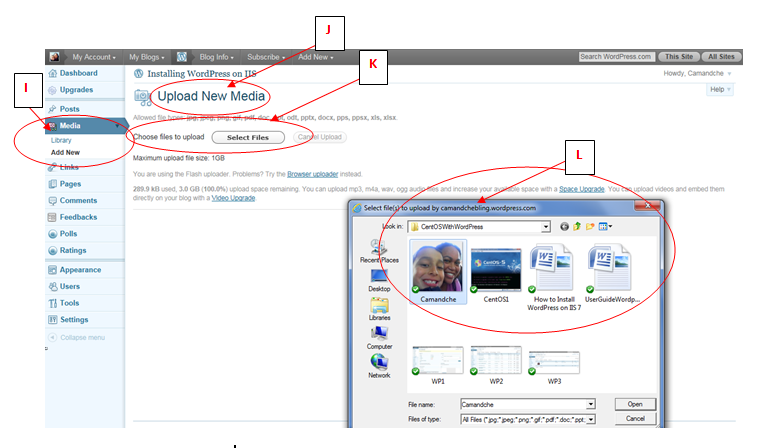 The screenshot below is the dashboard; at a glance it quickly identifies content & discussion applicable to your blog. 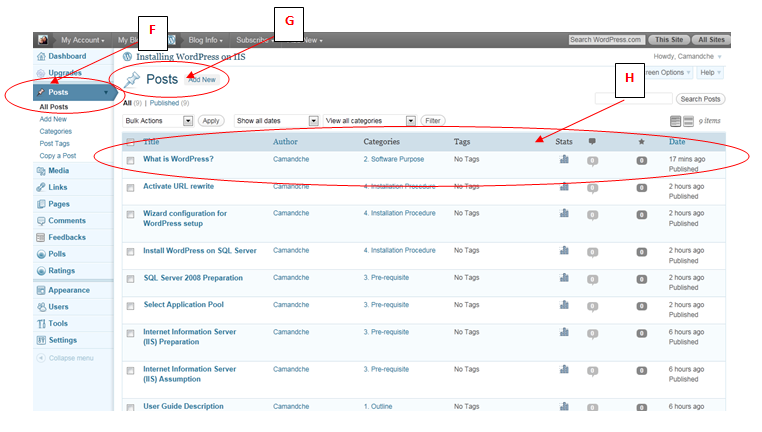 There are also two menu bars used in WordPress. 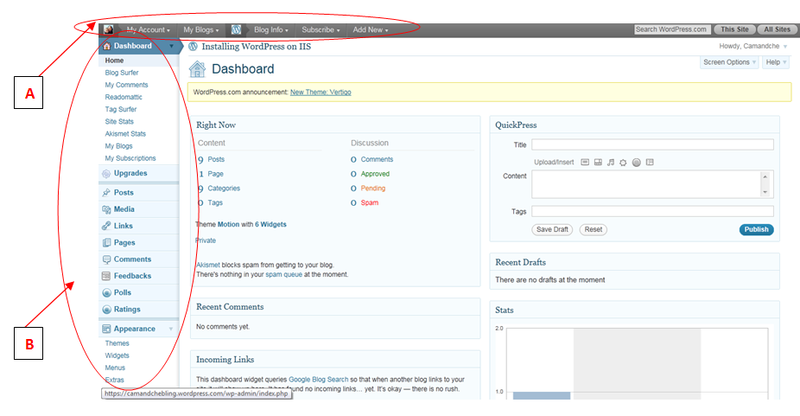 We will take a look around some of the features in this menu bar.